Epic Images is the leader in Club, Travel Ball, and Team + Individual sports photography throughout Orange County and surrounding areas. We specialize in photographing large clubs using professional studio lighting and posing. Our professional and courteous staff assist each player to insure they are correctly posed and wearing the proper gear for their EPIC portraits. Coaches, athletes and parents expectations of what team and individual photos look like has now been redefined. Using professional studio lighting, our photographers shoot inside under controlled lighting conditions without any unpredictable outdoor elements. Wind blown hair, squinting eyes, harsh midday lighting and being forced to reschedule due to rain are now a think of the past. Our system is unlike any other starting from the ground up. Every athlete is photographed individually and composited into one EPIC team. Each player is photographed in two poses. Their 1st pose and expression is their choice. Our Pick A Pose chart guides them into a few ideas. Their 2nd shot for the team photo is photographer. Portraits are taken at our studio or your indoor location. Time consuming delays waiting for the entire team to show up are now over. Absent players may schedule a $20 makeup session at our Santa Ana, Newport Beach or Rancho Cucamonga Studios. Our staff is organized and trained to speed up picture day! Please take a few moments to read our guidelines and FAQ's below for a hassle free photo day experience. Why settle for ordinary when you can be EPIC. Is payment required on photo day? Yes. Epic Images will send order forms ahead to your coach / club director ( 1 ) week prior to photo day. We ask your form is completed and returned with full payment at the time of your session. Please fill out ( 1 ) form per athlete being photographed. Can we order more prints after our orders are delivered? Of course. Email or call 714.633.3130 with any order additions. Files are archived for 6 months. Can I prepay online - what methods are available? Visa, Mastercard, AX, PayPal, checks and cash are accepted. Returned checks will incur a $25.00 insufficient fund fee. If you would like to prepay online after filling out your order form, you may. 1st complete your order to calculate your total due. Enter your total due on your form and check PayPal next to your amount. Send the order form along with the athlete being photographed the same way you would as if sending in cash or a check. To pre-pay before your session, click here. If I miss photo day – can I still be in the team photo? A $18 makeup-day fee is available at our Santa Ana, Newport Beach and Rancho Cucamonga studios. This session must take place within 4 working days after your missed photo day. Please make every attempt to make your scheduled day and time slot. 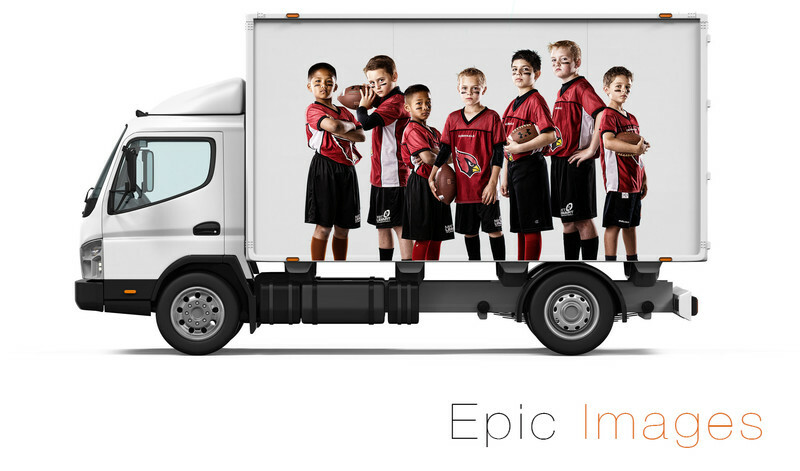 Epic Images requires 3 to 4 weeks to deliver to your school or coach from the last photo day. Make-up days if requested will be counted as the last photo date. Can I view my images first to decide on the best pose? To stay on schedule, this is not possible. We strive to capture 2 to 3 poses per athlete in 60 to 90 second. Our pre-paid envelopes require payment first. Every team member must be photographed to be included with their team photo. Purchasing a package is not required. We stand behind our work. A full refund will be issued if you are not altogether elated with your order. My order is incomplete – now what? Please call or email ASAP if your order needs to be addressed or replaced. Prints are remade and shipped out in 5 working days. Custom add-on products will be shipped in 10 to 15 working days.